Dogme et Rituel de la Haute Magie (English: Dogma and Ritual of High Magic) is the title of Eliphas Levi's first published treatise on ritual magic, which appeared in 1855. This is Part I, The Doctrine of Transcendental Magic. 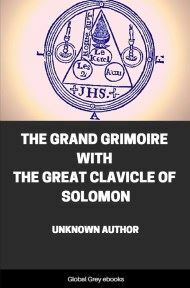 Chapters include: The Candidate; The Pillars Of The Temple; The Triangle Of Solomon; The Tetragram; The Pentagram; Magical Equilibrium; The Fiery Sword; The Kabalah; The Magic Chain; Necromancy; Black Magic; Astrology; and more. Behind the veil of all the hieratic and mystical allegories of ancient doctrines, behind the darkness and strange ordeals of all initiations, under the seal of all sacred writings, in the ruins of Nineveh or Thebes, on the crumbling stones of old temples and on the blackened visage of the Assyrian or Egyptian sphinx, in the monstrous or marvellous paintings which interpret to the faithful of India the inspired pages of the Vedas, in the cryptic emblems of our old books on alchemy, in the ceremonies practised at reception by all secret societies, there are found indications of a doctrine which is everywhere the same and everywhere carefully concealed. 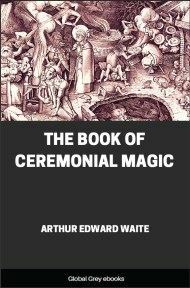 Occult philosophy seems to have been the nurse or god-mother of all intellectual forces, the key of all divine obscurities and the absolute queen of society in those ages - when it was reserved exclusively for the education of priests and of kings. It reigned in Persia with the Magi, who perished in the end, as perish all masters of the world, because they abused their power; it endowed India with the most wonderful traditions and with an incredible wealth of poesy, grace and terror in its emblems; it civilized Greece to the music of the lyre of Orpheus; it concealed the principles of all sciences, all progress of the human mind, in the daring calculations of Pythagoras; fable abounded in its miracles, and history, attempting to estimate this unknown power, became confused with fable; it undermined or consolidated empires by its oracles, caused tyrants to tremble on their thrones and governed all minds, either by curiosity or by fear. For this science, said the crowd, there is nothing impossible, it commands the elements, knows the language of the stars and directs the planetary courses; when it speaks, the moon falls blood-red from heaven; the dead rise in their graves and mutter ominous words, as the night wind blows through their skulls. Mistress of love or of hate, occult science can dispense paradise or hell at its pleasure to human hearts; it disposes of all forms and confers beauty or ugliness; with the wand of Circe it changes men into brutes and animals alternately into men; it disposes even of life and death, can confer wealth on its adepts by the transmutation of metals and immortality by its quintessence or elixir, compounded of gold and light. 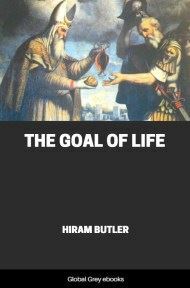 Such was Magic from Zoroaster to Manes, from Orpheus to Apollonius of Tyana, when positive Christianity, victorious at length over the brilliant dreams and titanic aspirations of the Alexandrian school, dared to launch its anathemas publicly against this philosophy, and thus forced it to become more occult and mysterious than ever. 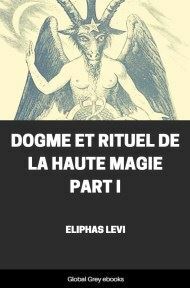 Moreover, strange and alarming rumours began to circulate concerning initiates or adepts; they were surrounded every where by an ominous influence, and they destroyed or distracted those who allowed themselves to be beguiled by their honeyed eloquence or by the sorcery of their learning. The women whom they loved became Stryges and their children vanished at nocturnal meetings, while men whispered shudderingly and in secret of bloodstained orgies and abominable banquets. Bones had been found in the crypts of ancient temples, shrieks had been heard in the night, harvests withered and herds sickened when the magician passed by. Diseases which defied medical skill appeared at times in the world, and always, it was said, beneath the envenomed glance of the adepts. At length a universal cry of execration went up against Magic, the mere name became a crime and the common hatred was formulated in this sentence: “Magicians to the flames!” - as it was shouted some centuries earlier: “To the lions with the Christians!” Now the multitude never conspires except against real powers; it does not know what is true, but it has the instinct of what is strong. 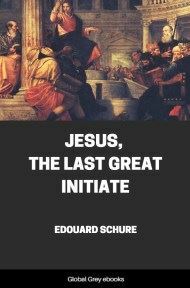 It remained for the eighteenth century to deride both Christians and Magic, while infatuated with the disquisitions of Rousseau and the illusions of Cagliostro. Science, notwithstanding, is at the basis of Magic, as at the root of Christianity there is love, and in the Gospel symbols we find the Word Incarnate adored in His cradle by Three Magi, led thither by a star - the triad and the sign of the microcosm - and receiving their gifts of gold, frankincense and myrrh, a second mysterious triplicity, under which emblem the highest secrets of the Kabalah are allegorically contained. Christianity owes therefore no hatred to Magic, but human ignorance has ever stood in fear of the unknown. The science was driven into hiding to escape the impassioned assaults of blind desire: it clothed itself with new hieroglyphics, falsified its intentions, denied its hopes. Then it was that the jargon of alchemy was created, an impenetrable illusion for the vulgar in their greed of gold, a living language only for the true disciple of Hermes. Extraordinary fact! Among the sacred records of the Christians there are two texts which the infallible Church makes no claim to understand and has never attempted to expound: these are the Prophecy of Ezekiel and the Apocalypse, two Kabalistic Keys reserved assuredly in heaven for the commentaries of Magian Kings, books sealed as with seven seals for faithful believers, yet perfectly plain to an initiated infidel of the occult sciences. 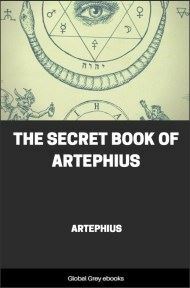 There is also another work, but, although it is popular in a sense and may be found everywhere, this is of all most occult and unknown, because it is the key of the rest. It is in public evidence without being known to the public; no one suspects its existence and no one dreams of seeking it where it actually is. This book, which may be older than that of Enoch, actually has never been translated, but is still preserved unmutilated in primeval characters, on detached leaves, like the tablets of the ancients. The fact has eluded notice, though a distinguished scholar has revealed, not indeed its secret, but its antiquity and singular preservation.